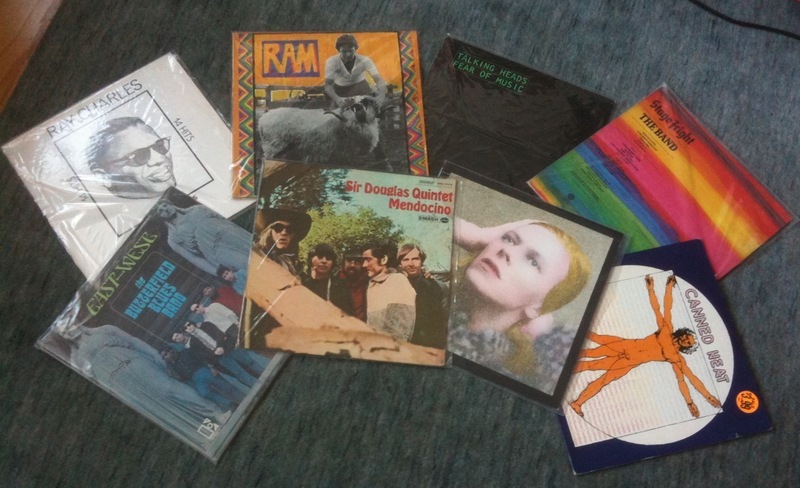 This past slushy Saturday, I down to the annual WFMU Record Fair to get my vinyl fix. On my trek down the entire city was basically empty, however when I entered the Metropolitan Pavilion, it was SWARMING with like-minded wax-centric individuals. After a day of heavy negotiating, I welcomed eight new members to the family. It was an amazing time. I geeked out hard with a bunch of vendors, collectors and musicians alike. I was lucky to hear the Black Hollies perform while I was there, but I missed one of NYC's most unique treasures, CSC Funk Band perform on Sunday. I've gotta give a shout out to my Oboe Brother (O-broe? ), Dave Kadden, who is the only man truly insane enough to funk out on the double-reed devil. Luckily, WFMU posted a few (horribly skippy) videos of the action on their website. CSC Funk Band At The WFMU Record Fair 2011!. I feel like I would be doing an egregious disservice if I didn't include a bonus song from my epic haul. My current favorite is the album in the middle, the Sir Douglas Quintet output introduced to me by the creator of one of the best music resources in history, TheRisingStorm.net. Here's the title track off Mendocino.